Once upon a time, it was a big deal to bring cupcakes to school to share with your classmates on your birthday. Now you have to remember, back in those days, there was no such thing as a ‘Cupcake Wars’ television series and there was no cupcake food truck in the parking lot at the office. Designer Madagascar Vanilla cupcakes with green tea icing weren’t even thought of yet. Cupcakes were just a simple homemade treat and once a year, it was cool to be able to pass cupcakes out to celebrate your birthday. For those of us who tended to be a bit on the quiet side or not quite part of the In Crowd, it was a day of earning extra cool points. In my case, it added up to a fair amount of cool points since my Mom’s from-scratch chocolate frosting is unbelievably good. Those days are the birthplace of Salvation Cupcake Theory. So what do cupcakes and salvation have to do with each other? Well growing up Catholic back in my cupcake-laden school days I learned that Jesus was the Savior of the world. Somehow, I missed the part that I meant the world to Him. And to be clear, that’s not to imply it wasn’t taught. I just missed it or it hit that section of Teflon Brain that I have when it comes to certain spiritual topics. (See also Baltimore Catechism, Act of Contrition and most other rote prayers.) To follow my dangerously flawed logic to its equally flawed conclusion: He comes to save the world. I, being in the world end up saved by default, not by His choice. Think back to cupcakes. Remember that rule about bringing one for everybody? The cool kids, the good kids, the bad kids, the quiet kids, the class clown, the bullies and even the class weirdo, everybody got one. Now it was common knowledge that how well you were connected to the cupcake-giver determined which cupcake you got. Best friends go the best ones with the extra frosting. 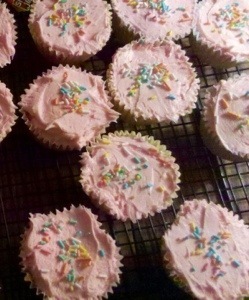 Weirdos and bullies got the cupcakes that fell over in the tray and ended up with lopsided or missing frosting. Having always been something of a odd duck, I was usually more likely to get a slightly flawed cupcake. I didn’t exactly see The Cupcake Giver and I as BFFs (best friends forever) so yeah, I got the Salvation Cupcake but only because I happened to be here. thought really gnawed at me. It gave me plenty to think about while I was already on my knees. The Salvation Cupcake Theory was pretty much in the background my whole life until about four years ago. Much like the cupcakes at school, it was just the way things were. The whole personal savior question had stirred up something but it didn’t really hit home for quite awhile. When it finally did, it hit like an Acme safe dropped on my head, which was good thing because I think it chipped off some of the Teflon. Some, but not all. I still forget some days and something I read this morning brought the original Salvation Cupcake post to mind. I hadn’t read it since I posted it in 2009 and rereading it made me see how much has changed since I wrote it. Even in 2009, it still hadn’t quite filtered through the Teflon I wouldn’t even BE in the world to get a cupcake in the first place if He hadn’t so desired it. That question popped up in a writer’s forum on Facebook recently. I never really thought about it much. If that sounds odd to you, then I must pose the question, ‘How often do you think about breathing?’ Because that, my friend, is what writing is for me. Writing is breathing, that very basic essence of life. I can no more stop writing than I can willfully stop breathing. I know. I’ve tried. Eventually it becomes too much to hold in and will burst forth, unbidden, even unwelcome at times. My definition of writer’s cramp isn’t the pain in my hand from writing too much but rather the pain in my soul that comes from writing too little. Writing is experiencing, again and for the first time. There is nothing that I write, not even my silly Facebook posts, that I don’t experience as I write it. I experience joy, sorrow, laughter, tears, grief, pain, wonder, awe, reverence, anything and everything. I see it, touch it, feel it, smell it, taste it and I am in it, completely, utterly and totally. I write about the snow, feel the cold and shiver. I write about fear only to have nightmares. As I write, I don’t see the words on the page. I see what I write unfolding before me as easily as I see the real world unfolding around me. Writing is praying in ways I was never taught or sought to learn. Even in my fiction, that perpetual conversation carries on whether I’ve intended it or not. I am often shocked by what I find on the pages in my old journals and notebooks, in the essays and poems stashed away in my old water-damaged roll-top desk. Even more so here in this blog roll. 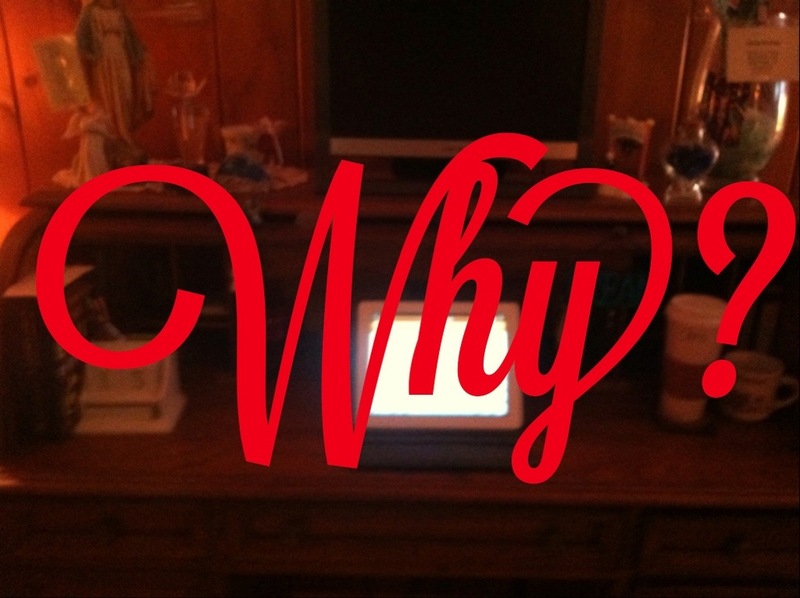 I’m not in the habit of re-reading my posts, or most anything else I write for that matter. If not for Deacon Ron’s constant nagging, I probably would never look at any of it again. When I do, I catch glimpses of things I’ve kept hidden, even from myself, especially from myself. I am, after all, my own harshest critic. But I’ve poured out my soul for the one Reader who sees not only between the lines but between the blank spaces as well. The one Reader who sees what I dare not write. Writing is creating, which is what puts me as close as I get to the Creator Himself. That’s huge for me. Close makes me twitchy if I think about. I don’t think when I write. I breathe. I pray. And then I come alive and rather than think, I forget. I forget the rules of grammar and proper sentence structure. I forget that I don’t want to be close to anyone, even to the only One who has never, could never, would never abandon or betray me. I don’t write as a ‘doing’ verb. I write as a ‘being’ verb. I am writing. I become writing. It doesn’t get any closer than that for me. I work all first drafts longhand, which sounds crazy given the arthritis in my hands, but that nearly illegible, unedited scrawl is uniquely my own. The ink flows directly from soul to page, without thought, without judgment, without care or caution. Sometimes, often times, it ends up a tangled mess that starts out on one line then suddenly jumps to the margins, up the side, down the other, back two pages or forward three. Yes, a perfect reflection of the mess that lies inside. And that’s okay. I rather like the mess. 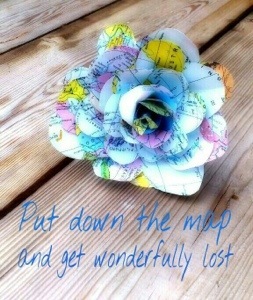 It’s a perfect day to get lost on purpose. Warm but not too warm. Blue skies with just enough clouds to make it interesting. Add in the raucous noise of 18 teams playing flag football on the field next to the house this morning at 8 AM and I had all the incentive I needed to disappear for a few hours. Having finished another chapter of my novel in progress yesterday, I didn’t even feel guilty for not writing first thing this morning. Okay so maybe a little teensy bit guilty. So let’s go with the rationalization that I went driving so I could hear what my characters are up to today. Sounds plausible – right? Cool. Doesn’t need to be completely believable. Merely plausible. Yes. Yes it is. Drive out of town. Head a few towns north of anything you kinda sorta know and start taking random turns. Pretty soon, you’re lost. No smartphone apps. No GPS. No advance planning. And definitely absolutely positively no highways. Highways are cheating. Why would you do such a thing? I can’t tell you why you would. Sorry, you have to find that one out for yourself. But I know why I do it. Because once I’m lost, once I’m completely beyond what I know, I notice everything. I see every fence, every wildflower and every hay bale being stacked in the open barns for winter. I see the horses jogging in their pastures and the browning cornstalks almost ready to be plowed under as the end of the season approaches. I see the decrepit and likely historic cemeteries disappearing under knee deep grasses, some behind rusty iron fences, others behind mossy rock walls. I see the abandoned stone house with its windows missing, sagging walls and holes where the porch should be. Then I notice the smoke pouring from the chimney and the battered old white Lincoln parked nearby. Maybe not abandoned after all…? It makes me wonder. I see every leaf, every tree and every bush. There are fall colors starting to appear at the very tops of the trees as if heaven dripped a wee bit of paint, just to see if anyone noticed. And I hear my soundtrack as if for the first time. I bring hours worth of music queued up on random shuffle, rarely more than one song for any given artist. Some are comfortable old favorites – Creedence, Clapton, the Stones. Some are new found favorites – Ruthie Foster and Amos Lee. Even a few eclectic songs from Yael Naim. All now forever imprinted in my mind with fresh images of an almost autumn day in Connecticut’s Naugatuck Valley. To get back back home, I had no idea which road to take so I headed south. Well what looked to be south-ish. It’s Connecticut. If you head south long enough, you hit Long Island Sound. I know my way from there. Funny thing is, instead of hearing my characters, who seem to have taken Sunday off for a change, I started seeing and hearing something else. Something that hit a little – a lot – closer to home. See, I took some random turns in my life. I got lost – really lost – and I didn’t like where I ended up. Six years ago this coming Friday, I punched the Do Over button on my life. Turns out there is no Do Over button. There’s no Start Over button either. I know. I looked. Hard. Turns out there’s only a Just Keep Going button. So I hit that one. Since then, I’ve spent the last six years trying to sift through other people’s images of what I am, what I should be, could be, ought to be or have (or had) the potential to be, trying to sift out what is my entirely own. There’s a path in there somewhere and yet I keep trying to stick to the roads I think I kinda sorta know. All the while, I’m wondering, Is this really all there is? No. It’s not. It’s just as far as I’ve been willing to go. Maybe just a few completely random turns… I can always head in a familiar-ish direction if I don’t where it leads. Right? Sounds… well… plausible. I’ve been told that if I can figure out where my main character, my 25 year-old what-if-I’d-turned-left-instead-of-right character, is headed, I may very well find out where I need to be headed. I stumbled across a song a few weeks ago. Yes randomly. These lines are stuck in my head, along with the image of smoke rising from that abandoned falling-down stone house, a house that called for a second look because in its own broken down way, it was really quite beautiful. – Oceans by Hillsong United.